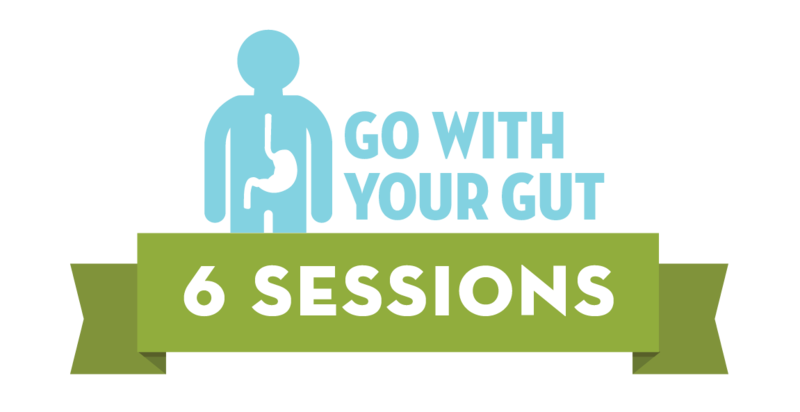 Go with your Gut is designed to help you find relief from debilitating IBS or SIBO symptoms. 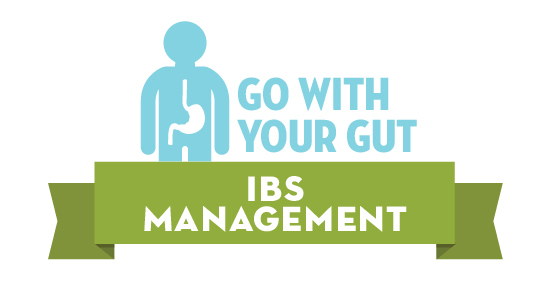 With IBS nutritionist, Carol Guizar, you will discover foods that trigger symptoms, explore non-food interventions may be helpful, and determine a plan to manage symptoms if they do occur. You may be wondering if this package is for you. Do any of these scenarios sound familiar? Because food is just one aspect of IBS management, Carol considers the whole person and not just the diet. You will explore non-food interventions and lifestyle factors that may influence symptoms, including anxiety, stress, food fears and beliefs, and overall eating patterns. Carol utilizes her intuitive eating background to encourage you to become more attuned to your body’s physical and emotional needs. If you choose to undertake the low FODMAP diet, working with a dietitian specializing in IBS ensures that you implement the diet properly, and work through the protocol as efficiently as possible. Carol will guide you step-by-step through each phase of the diet so we can alleviate symptoms and reclaim your gut health. 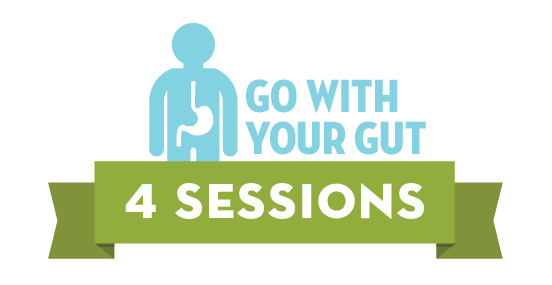 Because treating gut issues is complicated and treatment is highly individualized, Go With Your Gut offers three package options. If you are looking for a non-food approach to treat your IBS, this option is for you. It is especially appropriate if you have a history of disordered eating or chronic dieting where the restrictiveness of the low FODMAP diet may be harmful to your mental and physical health. This customized package is offered on a session-by-session basis and frequency of meetings will depend on your progress and how much support you feel is needed. Takes you through phase II (reintroduction) and III (maintenance) of the low FODMAP diet. Indicated for those who have undertaken phase I on their own. Takes you through phases I (elimination), II (reintroduction) and III (maintenance) of the low FODMAP diet. FODMAPS are specific types of carbohydrates that may be poorly absorbed and, as a result, can cause digestive discomfort. Humans do not contain enzymes to breakdown some FODMAPs. Others pass through the intestinal tract too quickly and are not absorbed. As a result, some FODMAPs remain intact as they travel through the gut. They can be fermented by bacteria along the way and put off gas, or they can attract water into the gut. In someone with sensitive intestines, gut nerves overreact to the presence of gas or excess water, resulting in issues such as diarrhea, abdominal pain, cramping, excessive bloating or constipation. What foods contain FODMAPs and what symptoms can they produce? Oligosaccharides include two types of FODMAPs: fructans and galacto-oligosaccharides (GOS). These tend to create gas. Oligosaccharide-containing foods include the following: wheat, rye, barley, onions, leek, shallots, white part of spring onion or leeks, garlic, legumes, lentils, artichokes, chicory, artichokes, inulin, cashews, chamomile, and oolong tea. Disachharide refers to the lactose molecule. Lactose tends to create gas and may pull water into the gut. Lactose-containing foods include the following: milk, evaporated milk, yogurt, cottage cheese, some soft cheeses, custard, and ice cream. Monosaccharide refers to the fructose molecule. Fructose may pull water into the gut, causing diarrhea. Fructose-containing foods include: asparagus, honey, mango, watermelon, apples, pears, high fructose corn syrup, and agave. Polyols include a few types of FODMAPS called sugar alcohols: sorbitol, mannitol, maltitol, and xylitol. These can pull water into the gut. Foods that contain polyols include: apples, apricots, avocados, cauliflower, mushrooms, nectarines, peaches, pears, plums, sugar-free products like gum and some sweetener alternatives like Truvia or stevia with added sugar alcohols. Who is sensitive to FODMAPs? People with irritable bowel syndrome (IBS) and/or small intestinal bacterial overgrowth (SIBO) are extremely sensitive to FODMAPs and experience significant, sometimes debilitating intestinal distress as a result of consuming them. IBS is an alteration in bowel habits accompanied by significant abdominal pain and changes in the frequency or consistency of bowel habits. The cause of this is unknown, but IBS may be linked to the gut-brain interaction, genetics, stressful early life events, certain mental disorders, food sensitivities, and bacterial infection or overgrowth. SIBO (small intestinal bacterial overgrowth) is a condition that occurs when bacteria overgrow in upper parts of the small intestines where there are usually very low bacterial levels. The cause of this is unknown. Why do some people have FODMAP sensitivities? Everyone has a FODMAP “bucket”, and some people’s buckets are smaller than others, especially those with IBS or SIBO. The effects of FODMAPs are cumulative so that as you eat more FODMAPs over the course of the day, the bucket fills up. Smaller buckets overflow more quickly than larger buckets. When an overflow occurs, a person may experience symptoms from the gas emitted by bacteria as they ferment the FODMAPs, or from water being drawn into the gut by FODMAPs. Who should undertake a low FODMAP diet? Currently, the low FODMAP diet is indicated for IBS and SIBO patients. There may also be indications for those with inflammatory bowel disease, such as ulcerative colitis and Crohn’s disease, under specific conditions. Eathority does not recommend the low FODMAP diet unless you have been diagnosed by a doctor with IBS and/or SIBO. FODMAPs contain prebiotics, which are fibers that feed beneficial gut bacteria. Excluding FODMAPs for long periods of time can actually reduce microbial diversity, which may have long-term health implications. What exactly is the low FODMAP diet? Phase I eliminates FODMAPs for 2-6 weeks to reduce symptoms. This helps you establish a baseline that is as symptom-free as possible and makes it easier to judge sensitivity to FODMAP tests that occur in Phase II. Phase II entails reintroducing one FODMAP group at a time to figure out which FODMAP(s) overflow your “bucket” and cause intestinal distress. This stage can last 6-8 weeks, depending on the number of FODMAPs you want to trial, how those trials progress and accommodating any travel plans or special events you may have. Phase III is about personalizing a dietary pattern that incorporates FODMAPs that you can tolerate. You will continue to re-test poorly tolerated FODMAPs over time (tolerance can change!) and you will learn how to manage symptoms when they pop up. How effective is the low FODMAP diet? Anywhere from 50-75% of people may find relief in their symptoms from this short-term intervention. If you do not find relief within six weeks, please get back in touch with your dietitian and gastroenterologist for further evaluation. Why should I see a registered dietitian for the low FODMAP diet? The low FODMAP diet can be very daunting to tackle alone. Working with a registered dietitian reduces stress around the diet and makes you feel like you have a partner in the process. There are ins and outs to the diet, so working with a registered dietitian who has experience ensures you have the most up-to-date, evidence-based care. I think I have IBS or SIBO. What should I do? Eathority does not recommend self-diagnosing. If you experience periods of prolonged intestinal distress that impact your quality of life, please get evaluated by a gastroenterologist. Eathority works closely with Dr. Daniel Motola of Gotham Medical Associates. A gastroenterologist will help rule out any serious medical issues that must be considered before giving you a diagnosis of IBS or SIBO. I have a history of disordered eating and am nervous about restricting my food intake. For anyone with a history of chronic dieting, disordered eating or an eating disorder, the low FODMAP intervention should be a last resort. It can be hugely triggering and cause mental distress in people with histories of food and body image difficulties. When working with this population, the goal is to balance symptom relief and mental wellbeing to prevent a relapse into disordered behaviors. There are several non-restrictive avenues to explore, including establishing regular eating patterns, balancing meals, not overexercising, ensuring sufficient sleep, and reducing stress. If, after much exploration and thoughtfulness, you decide to trial the low FODMAP diet, Eathority will have ongoing conversations with you to ensure the process is not triggering disordered thinking and behaviors. You will feel safe and supported as you become more attuned to your body’s sensitivities and needs. Do I have to do the low FODMAP diet to see improvements in my symptoms? No, you don’t! The low FODMAP diet is quite restrictive and many people have difficulty sticking with it. You can come in to discuss non-restrictive and non-food interventions that may provide you with as much or more relief than the low FODMAP diet alone. Sessions occur on a weekly or biweekly basis depending on your treatment goals. Sessions often take place in Eathority’s office in Greenwich Village. If your insurance plan covers virtual meetings or you are paying out-of-pocket for nutrition services, we can meet by phone or secure video. Eathority can also travel to you, but you will be charged for both travel and session time. During the first session, we will discuss your eating history, digestive health, lifestyle factors, how you feel about your body and any other relevant information you feel comfortable discussing. Depending on what your concerns are in session, you decide what sort of between-session “assignments” you want to engage in. In follow-up sessions, you are free to discuss any successes or challenges since the previous meeting or any topic that feels pressing to you that day. Eathority is in-network with Aetna, Cigna, Emblem, and Oscar in the greater New York area. If you have one of these plans, you may have coverage for nutrition services. Contact your insurer and inquire about your plan’s details. If you have one of these insurance plans but Carol is not a participating provider, Eathority can provide you with in-person or virtual nutrition coaching, but it will be subject to out-of-pocket fees. For all other plans, use this please contact your insurer to inquire about out-of-network coverage. 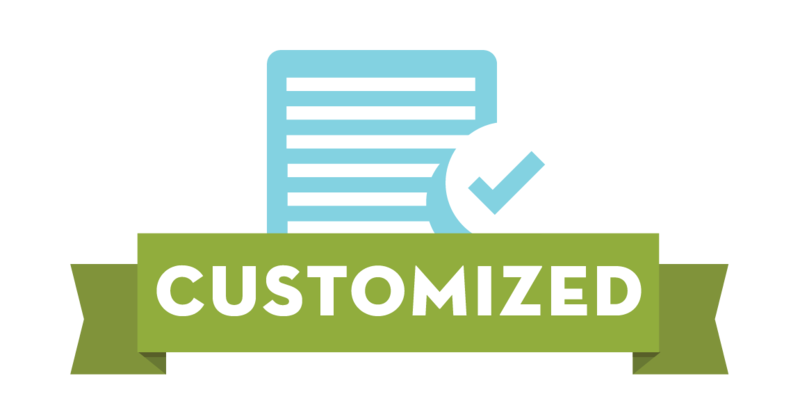 Eathority will provide you with a superbill after each session to submit to your insurer for possible reimbursement. Eathority encourages potential clients to consider this: change does not occur in a single session. If you are exploring whether low FODMAP or non-diet interventions are right for you or you want to get to know Carol and her style, single sessions are available. For Aetna, Cigna, Emblem, and Oscar clients in the greater New York area, your plan will determine how many sessions you are allotted. You are free to see Carol for one or more sessions. If you need additional sessions that your insurance will not cover, you will be responsible for paying out-of-pocket for these sessions. Please contact Eathority using the form below to inquire about pricing and payment options. For any out-of-network clients, a single session may be purchased, and if you decide to move forward together with Carol, sessions may be sold in package form. Please contact Eathority using the form below to inquire about pricing, payment options, and cancellation policies. How can Eathority help you?